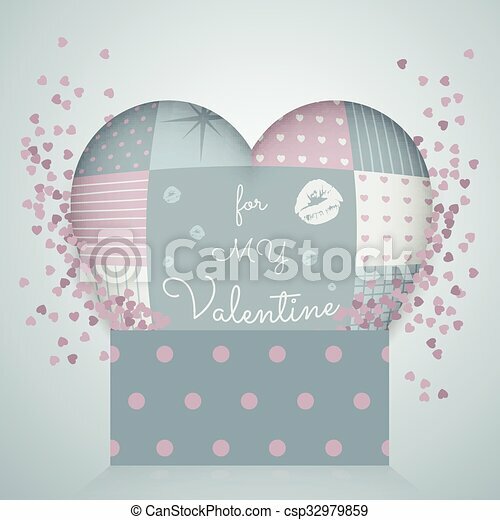 3d Pillow In Shape Of A Heart With Patchwork, 3d Pattern Gift Box. Valentine&#39;s Day. 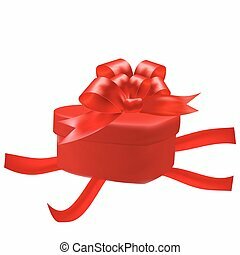 gift in box with heart bow on a white background. 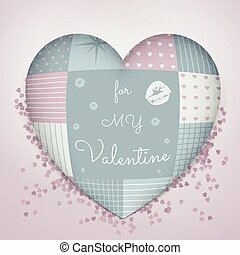 Valentine s Day. in the form of a tube. illustration. use the smart phone, website, decoration, design, printing, fabric, shirt, decoration etc. 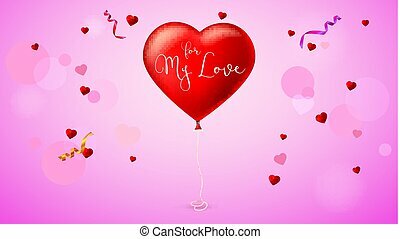 Bright red heart, the inflatable balloon in the shape of a realistic, big heart with tape, ribbon. 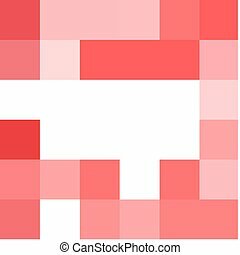 Greeting card for your friends, loved ones on abstract, colored pattern on a background. A beautiful realistic 3D pillow in shape of a heart maked as patchwork and confetti. Comes from the 3d pattern gift box. Very sensual, tender and romantic. 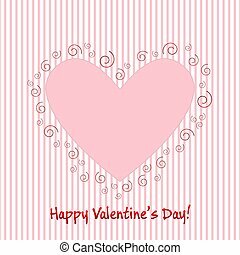 Fit for all products for Valentine's Day. A beautiful realistic 3D pillow in shape of a heart maked as patchwork and confetti. Very sensual, tender and romantic. 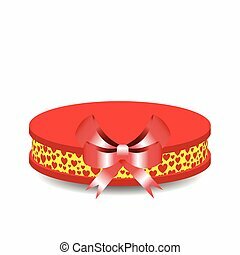 A perfect fit for all products for Valentine's Day. A beautiful realistic 3D pillows in shape of a hearts maked as patchwork in blue pink tones. Very sensual, tender and romantic. 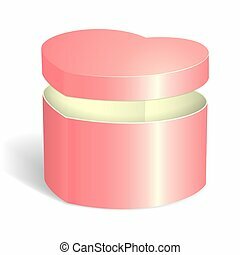 A perfect fit for all products for Valentine's Day. 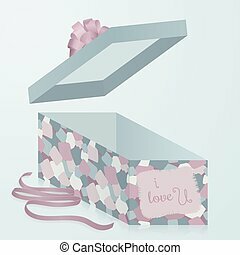 A template gift box with patchwork texture, 3d. Valentine's day. Paper heart with text inside. Trendy, fancy. Very sensual, tender and romantic. Fit for all products for Valentine's Day. 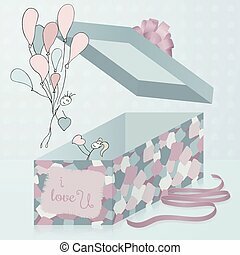 A template gift box with patchwork texture, 3d. Trendy, fancy and comfortable to use. Very sensual, tender and romantic. Fit for all products for Valentine's Day. 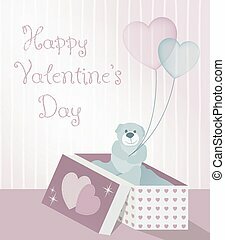 illustration for Valentine&#39;s Day with teddy bear gift and transparent balloons in the shape of hearts. Designed in pastel colors retro style. 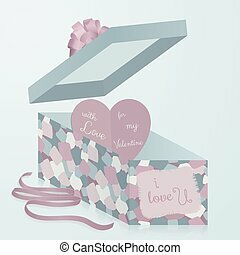 Perfect for love letter, anniversaries and print products. 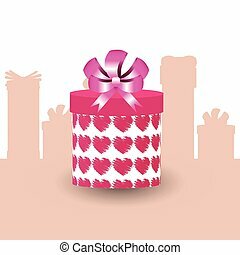 A template gift box with patchwork texture, 3d. With hand drawn artistic pair as design element. Trendy, fancy. Very sensual, tender and romantic. Fit for all products for Valentine's Day. 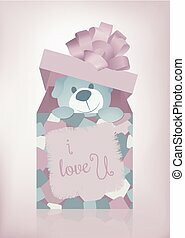 illustration for Valentine&#39;s Day with teddy bear and textil patch love pillow heart. Designed in pastel colors, retro style, patchs. 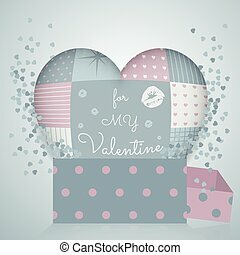 Perfect for love letter, anniversaries, web and print products. 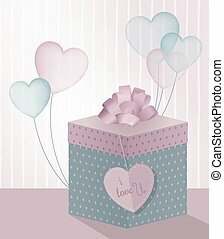 illustration for Valentine's Day with 3D gift box and transparent balloons in the shape of hearts. Designed in pastel, colors retro style. 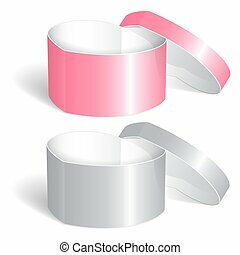 Perfect for love letter, anniversaries and print products. 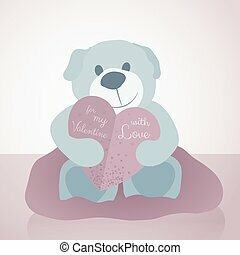 illustration for Valentine's Day with teddy bear and textil patch love pillow heart. Designed in pastel colors, retro style, patchs. 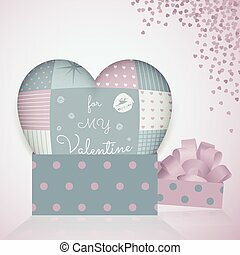 Perfect for love letter, anniversaries, web and print products. 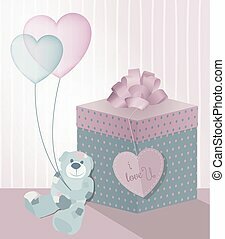 illustration for Valentine's Day with teddy bear, gift box and transparent balloons in the shape of hearts. Designed in pastel retro style. Perfect for love letter, anniversaries and print products. 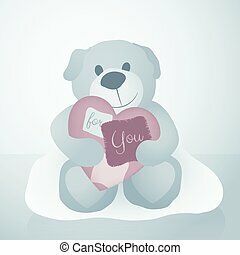 illustration for Valentine's Day with teddy bear and paper love letter in form of heart. Designed in pastel colors, retro style. 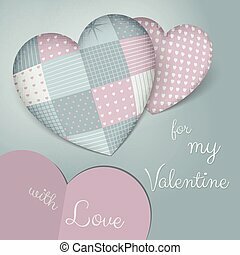 Perfect for love letter, anniversaries, web banners and print products.